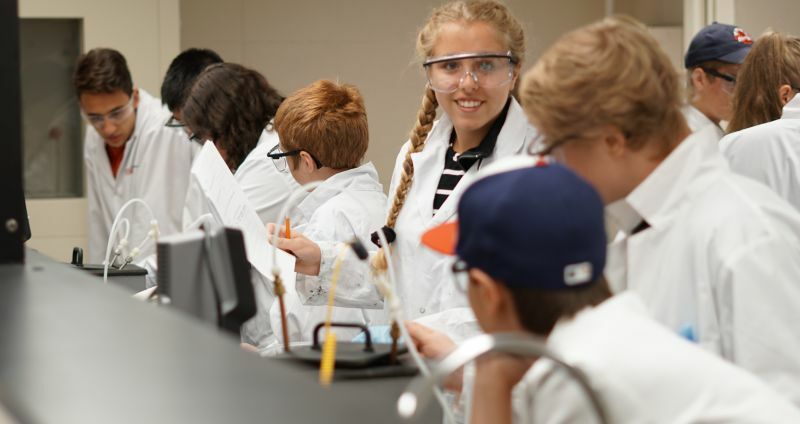 With both residence and day options available, the Queen's Summer Engineering Academy program is an engineering-focused educational summer program that exposes your child to engineering at Queen's. There are several courses available that highlight different engineering fields such as chemical, civil, electrical and computing, geological, mechanical, mining, and others. For young people with a passion for engineering, attending the Connections sessions has the same gravity as, say, a child who loves basketball attending a week of practices with the Raptors. The setting, the staffing, the resources, the approach—it’s all the real deal, within one of the country’s foremost academic institutions. No punches are pulled, with attention to chemical, civil, electrical and computing, geological, mechanical engineering, and others. It’s not for everyone, to be sure, but, again, for the right child, it’s as exceptional as it is unique. Day and overnight options allow for a wider range of engagement, but the immersive overnight programs are a particular draw. Participants interact with peers of a like mind and academic ability, as well as academics and professionals in the field, all which can be both transformational and inspiring. With years of experience as a chemical engineer and a high school Chemistry teacher, I take pride in properly designing our workshops to include important aspects of the engineering profession. Also, with a Masters degree specializing in engineering education and my thesis on high school students' perceptions of engineering, I am aware of the misperceptions that some students hold about the profession. With this knowledge, I also try to design the workshops to help correctly align students perceptions. Details: Please contact [email protected] for details about bursaries. Please listen to some of our QSEA 2016 students speak about their experience. Interested in Connections: Queen’s Summer Engineering Academy (QSEA)?